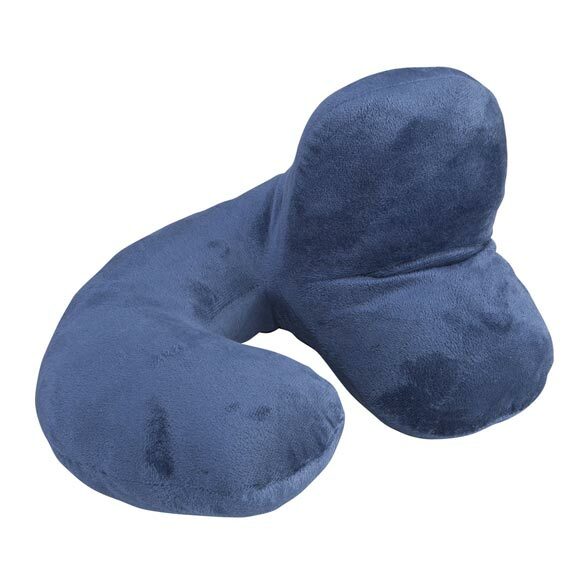 Head cradle pillow helps you relax and restore anywhere without neck strain. Uniquely shaped head pillow is made for seated comfort as it cushions the back of your head and wraps around to support the side, neck and chin. Use it at home to watch your favorite shows or read without aches and pains. Ideal for upright sleeping, too. Luxuriously plush cover feels soft against skin, and the polystyrene core can be squeezed to fit in less space than many U-shaped pillows. I purchased two of these for my mom and me to use on our flight to Washington (state). We loved them. I felt like I was in my bed cuddling up to my pillow. It is so warm and cozy. I would highly recommend this product. Great idea for a neck pillow for support! Quality material also. Good price. Need something to stop the cricks in my neck when I am binge watching a favorite TV show. So that my head will be supported when I sleep in my recliner. I have neck pain and often fall asleep on the couch. I'm hoping this will be helpful to me. For my dear MIL for her comfort! I sit a lot and need the neck support. Have used mine and it is wonderful. I often sleep sitting up in a chair. I often end up sleeping in a chair because of health issues. Small pillows or pads are not comfortable. I am hoping this will be. Also, this looks like it would be great on plane travel. I saw this item demonstrated on a t v shopping network, and missed the opportunity to buy it. I think it is a unique way to support the neck when resting or napping. Glad I found it through Easy Comforts! Excellent price, too! I have a 22 year old friend who uses a wheelchair daily. Sometimes, he naps in his wheelchair and his head falls forward. I think that this pillow will serve him well. previously ordered, very comfortable, every one wants one! I have one already . This pillow is fantastic. Want another one to take when I travel. I am going to be travelling and wanted to be comfortable. My husband falls asleep in his recliner and his head falls forward creating neck problems. I’m hoping this pillow will help him. Husbands head flops to side when sleeping. Hope this helps. Long trips to UAB hospital. 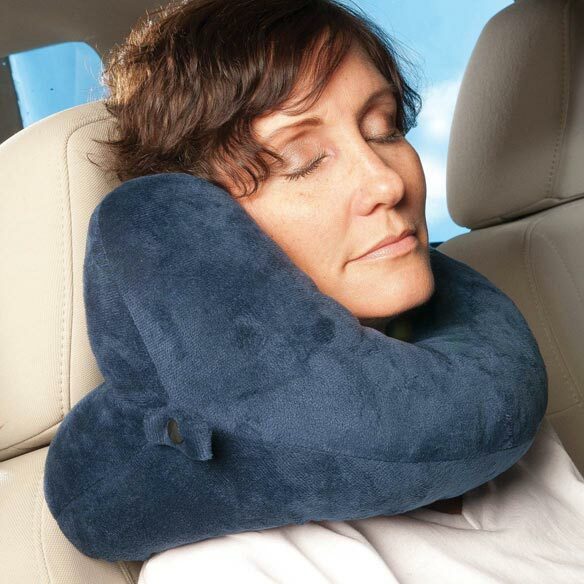 This neck pillow looks like the answer to so many problems we encounter on the trip there. This pillow is just what I wanted and a great price! Just want to try it out. I sleep on my back and my head tends to roll to the side. I thought this would help.